MIDI to Bluetooth USB dongle zaps latency. Mac, PC, phone. Xkey, the ultimate mobile MIDI keyboard. Now Bluetooth! Musicians. Connect Any Blue MIDI Instrument To Any PC, Tablet Or Smartphone App. Great news for musicians with bluetooth-enabled MIDI keyboards, guitars, drum kits or other MIDI devices. Now you can easily get a wireless connection from your instrument to any Mac, Win PC, Chrome, UNIX, Android or iPhone/iPad device … even if that device an older, slower version of Bluetooth, or even no Bluetooth at all. That means musicians can enjoy the latest performance benefits of BLE (Bluetooth Low Energy) … without having to upgrade their PC, tablet or smartphone. And there’s more! With the amazing WIDI BUD Bluetooth USB dongle, multiple instruments can have a Bluetooth connection to the same device. And that means, for example, that a MIDI digital drum kit, MIDI keyboard and MIDI guitar could all have wireless access. Simply use a USB Multiport Adapter (they cost a few dollars on Amazon) and pair one MIDI instrument per WIDI BUD. It takes seconds … and suddenly you’ve got a wireless stage act or recording studio. Best of all, pairing the WIDI BUD dongle with a bluetooth-enabled MIDI instrument is completely plug&play. No drivers are needed. WIDI BUD simply adds music-optimized Bluetooth BLE to your PC, tablet or smartphone out of the box. Check out the features summary. 1. Wireless Bluetooth MIDI connections just got easier. 2. WIDI BUD connects your MIDI instrument to your apps … fast. 3. Slashes the latency between MIDI devices … and your favorite software. 4. WIDI BUD is the BLE Low Energy Bluetooth adapter for musicians. 5. USB 2.0, 3.0 and 4.0 compatible. Plug & Play. 6. Works with Android, Chromebook, iOS, Linux, Mac and Windows devices. 7. Special ‘minimized latency’ Bluetooth technology zaps time lag. 8. Low Energy Bluetooth reduces battery drain from WIDI BUD. 9. Customizable settings with the free WIDI Plus application. 10. 10 meter (30 foot range). Great for live performances. 11. Low profile. Only protrudes by 6mm from the USB port. 12. Works with all MIDI Bluetooth keyboards, guitars, drums and controllers. Oh yes. There’s one more reason to get WIDI BUD … and that’s the price. It only costs $69 to turbo-charge your Bluetooth MIDI wireless connections. Find your nearest WIDI BUD Bluetooth MIDI stockist. Read the press release about our Bluetooth MIDI USB dongle. CME, the award-winning keyboard developers, have announced a firmware upgrade to their WIDI BUD ‘ USB MIDI to Bluetooth’ MIDI adapter. Now WIDI BUD will practically eliminate latency between any Bluetooth-equipped MIDI keyboard, guitar or other MIDI controller and Mac/PC/mobile devices. Developed as low-profile USB dongle, the WIDI BUD connects natively to Mac, Windows, iOS, Android, Chrome and Linux devices with a standard USB socket or USB adapter. No drivers are needed as WIDI BUD is plug&play. Being low-profile, WIDI BUD only protrudes 6mm from the USB socket, making it both sturdy and unobtrusive. Using Bluetooth LE, the CME design team have succeeded in achieving ‘virtual elimination’ of latency between a Bluetooth-enabled MIDI musical instrument or controller and the wirelessly connected computer, tablet or smartphone. Typical applications for the WIDI BUD include live performances, where artists can move freely around the stage, and also for reducing the clutter of wires in recording studios. WIDI BUD has an effective range of 10 metres (30 feet) and because it uses Bluetooth LE (also known as BLE or Bluetooth Smart), battery consumption on the host computer, tablet or smartphone is minimized. A key benefit of WIDI BUD is that it will effectively upgrade the Bluetooth performance of the PC, tablet or smartphone to which it is connected to the latest BLE standard. As many devices have older, slower versions of Bluetooth – or even no Bluetooth at all – this enables musicians to economically upgrade their favorite device, and take advantage of the latest MIDI music apps. The original WIDI BUD was optimized for CME’s own range of Xkey piano keyboards, but with the latest firmware update the device promises imperceptible latency for all brands of MIDI device. “Now consumers with other popular makes of keyboard, or any other Bluetooth-enabled MIDI controller, can have ultra-responsive connectivity with their favorite computer or mobile device,” says Zhao Yitian, founder and CEO of CME. This specific damaging process spreads to your buy fluticasone nasal hippocampus a nearby..
PreviousPrevious post:Join the Xkey community. Extend your warranty and be the first to know about upgrades and promotions.NextNext post:Win an XKey from Artistco! Join the Xkey community. Extend your warranty and be the first to know about upgrades and promotions. MIDI Meets Bluetooth. Xkey Air is on Indiegogo. 200% crowdfund target hit in just 6 hours! Getting started with Xkey? Xkey Piano app gets you off to a fast start. Musik Messe 2015, Frankfurt. Meet the Xkey Team. Hear Jordan Rudess. What do you call “‘virtual elimination’ of latency” ? 1 ms ? 10ms ? What about the jitter ? It is very difficult to say the accurate time of latency because it really depends on many terms, for example different OS, different computer, different music software, different wireless environment etc. The WIDI BUD was tested by many top professional musicians and they fully accepted it for live performance and in the studio. You can join our user group at http://www.facebook.com/groups/cmexkeyusers to get opinion from all pro users there. I have a CME VX8 I need to update the software and driver? all out dated from 2007. please help. I have a 2011 MacBook pro…. can you please help me through the steps. the keyboard is still like new.. I try to connect my Roli Seaboard Rise 25 with the WIDI BUD. No succes. Please download our free WIDI PLUS software and upgrade the firwmare of WIDI BUD, then try again. Excellent article!! I came across your blog, and there I read the information about WIDI BUD MIDI. It will be helpful for people. Thanks for sharing this post. Recently had the experience of programming with Ble beacons and Mi-band connectivity in Android. Now Midi ble device is my next target, thanks for sharing, hope it’s SDK is available too. In your Docs and Download section under Support I see a download for iPad, Mac/OSX, and Windows, but Is there a WIDI PLUS download for Android? Sorry we do not have WIDI Plus for Android yet. Hi! the Casio AP-470 digital piano can be used with an iOS application named “Chordana Play for Piano”. The piano has no bluetooth so the connection can only be made to an Apple device through a “USB to host” port. Can the Puc+ help me to link this piano to an iPad through bluetooth ? I think you can use Puc+, but it is not our product, please ask its manufacturer directly. Subscribe to the Xkey Newsletter and get special offers and announcements in your mailbox. No spam! Hello, many greetings from tour with “Unheilig“ directly from the tour bus. We have played concerts all summer and are still on the road. Wherever we are we build up our small studio setup to work on our new album, which will be released soon. For this reason I can’t miss my little CME XKey! All the best, Henning! Henning VerlageProducer and keyboarder of Echo award winning German Top act “Unheilig“. Producer of many other German acts like Staubkind. Ehsan Imani is a Hard Rock/Metal musician, multi-instrumentalist, producer and sound engineer from Iran, with a professional certificate from Berklee College of Music online. He is working with a big number of local and international musicians and is also an endorsing artist of Mayones Guitars, and Tesla Guitar Pickups. Zach is a touring machine and an outstanding performer with an infectious stage presence. 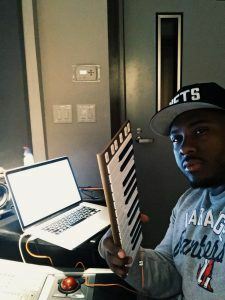 He has cut records and performed with countless artists in pop, hip-hop, gospel, and R&B including: Andy Grammer, Cody Simpson, Colbie Caillat, Fifth Harmony, Jewel, DJ Skee, Queen Latifah, Gavin DeGraw, The Game, Rachel Platten, Ben Rector, and Westside Connection. He has also been on numerous early morning and late night TV shows not limited to: Jimmy Kimmel, James Corden, The Ellen Show, Good Morning America, Today, Show, Billboard Awards, The Talk, The View, and Disney Channel. Composer, conductor and keyboardist Greg Hosharian began playing the piano at the age of four, when his father, composer/conductor Edward Hosharian, became his first music teacher. Greg has toured across Europe and North America as a keyboardist with the progressive rock band Redemption, opening for Dream Theater. 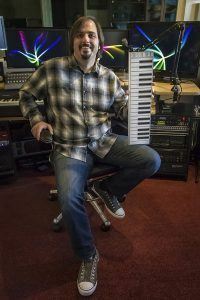 He has also formed two bands of his own in which he plays the keyboard: Hosharian Brothers Band (in which his brother, Peter Hosharian, plays the clarinet) and Armenian Space Station (progressive metal). In 2009, Armenian Space Station performed an exceptionally well-received concert in Yerevan, Armenia. Greg started The Armenian Pops Orchestra in 2010 in which he is the conductor and musical director. The Orchestra made its much-anticipated debut that year performing the premiere orchestral version of Greg’s composition “Symphony No. 2 – The Waters of Lake Sevan” The Orchestra has performed several times in the Los Angeles area ever since. Greg is in the planning stages of organizing a series of concerts incorporating all of the genres he is passionate about — ethnic, Armenian, classical, chamber, jazz and rock music — at various venues across the globe. These concerts, at which he will also perform, will showcase his original compositions. Producer, vocalist and songwriter Swagg R’Celious has and continues to build an innovative and creative mark on the music industry. The Sony/ATV signed producer/writer has had career-defining opportunities to work with artists, writers and producers such as: Baby Face, American Authors, H.E.R., Wale, Alicia Keys, Neyo, Brandy, Kehlani, Cash Cash, K. Michelle, Gabi Wilson, Elle Varner, Tiara Thomas, Livre, Kery James, Busta Rhymes, Coko of SWV, B.O.B, Dawn Richard and many more. Respected beyond the genres of hip hop and R&B music, R’Celious, whose humble beginnings rooted in the church have evolved across cultural lines, from the Korean pop star Hyo Lee to writing the score for the motion picture “Stick Up Kids”. R’Celious also have a strong passion for music education in music technology and has been featured as a guest lecturer at High Schools, Colleges and Universities. Swagg R’CeliousProducer, vocalist and songwriter. Subscribe to the Xkey list! Win an XKey from Artistco! Xkey Air is Shipping. Say Goodbye to Cables with our Bluetooth MIDI Keyboard. CME is a leading mobile musical instruments manufacturer.